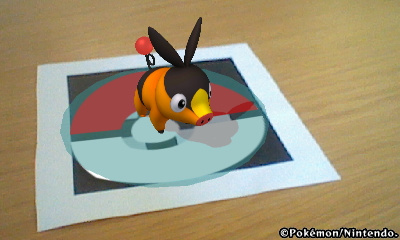 View Pokémon images in 3D and even use the Augmented Reality Markers to watch them come to life and have a 3D photo taken with them. 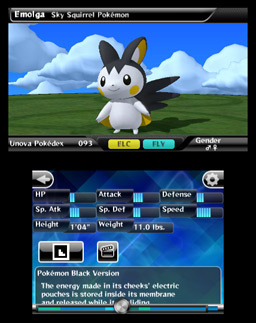 Pokédex 3D allows you to unearth information about all of the new Pokémon featured in Pokémon Black Version and Pokémon White Version – without having to own these titles. 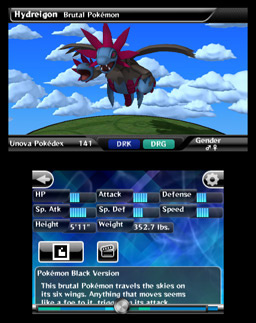 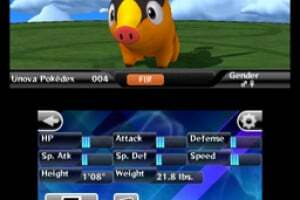 Pokédex 3D is the most detailed and comprehensive Pokédex so far within a video game and takes Pokémon into real life. 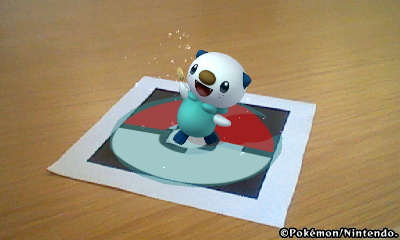 Enjoy viewing images of your favourite Pokémon from all angles, in various poses and in cute animations, all in full 3D. 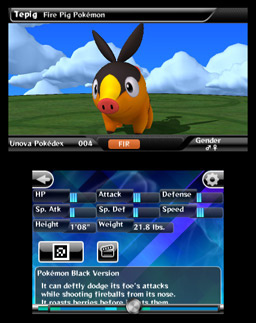 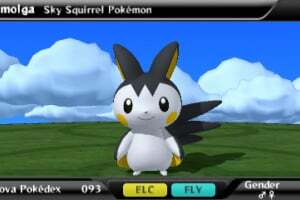 After downloading Pokédex 3D onto your Nintendo 3DS for free from the Nintendo eShop, you will start off with information on 16 Pokémon. 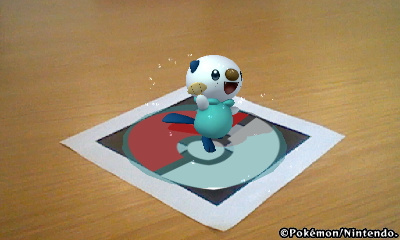 To collect data on more of your favourite Pokémon, simply wirelessly connect with your friends, scan special Pokédex 3D AR Markers or amass the information via SpotPass. 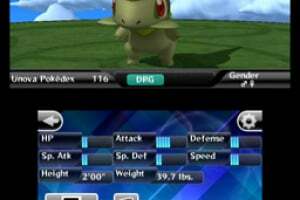 The SpotPass feature connects your Nintendo 3DS to compatible public hotspots and your wireless broadband Internet connection at home, even if the system is in Sleep Mode. 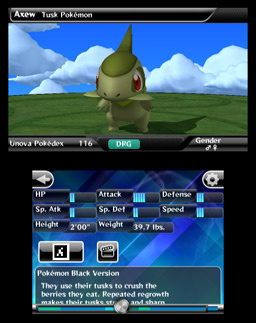 Once connected, your Nintendo 3DS will receive new content and updates on a regular basis and up to three new Pokémon data can be collected each day. 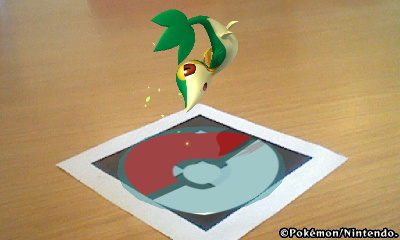 To collect all the Pokémon data, you will need to share with your friends and connect to SpotPass as well as looking out for the special Pokemon AR Markers – so get connected and look out for some extra special downloads hiding away. 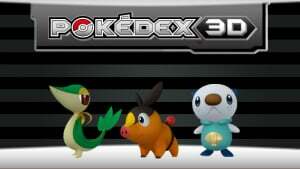 Pokédex 3D not only lets you view your favourite Pokémon images in 3D, but you will learn more about Pokémon than ever before. 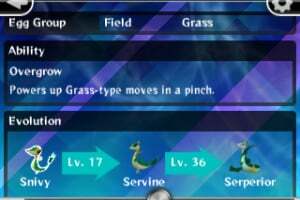 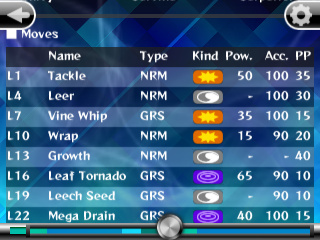 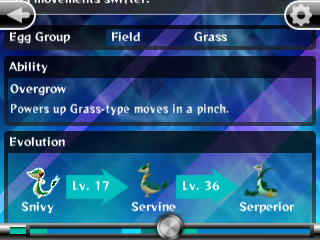 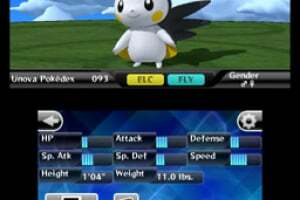 You can list out, cross reference, and sort data on each Pokémon, not only finding out their vital statistics, but also more in depth information such as at which level they evolve and at which level they learn new moves. 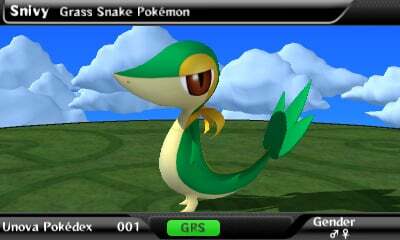 Enriching your Pokémon knowledge has never been so easy – enjoy becoming a master Pokémon fan! 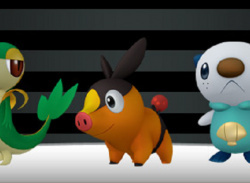 If you ever wanted your picture taken with your favourite Pokémon, then now is your chance. 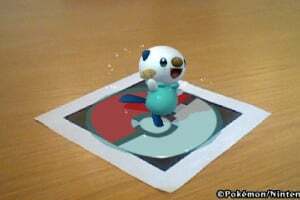 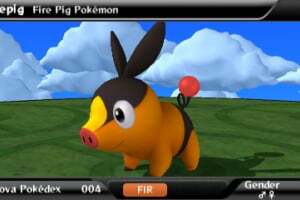 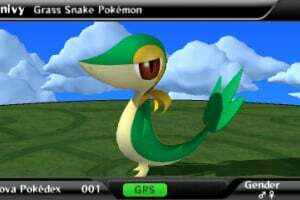 Each Pokémon in Pokédex 3D has its own individual Pokémon AR Marker, - a small black and white image which brings the Pokémon to life in 3D through Augmented Reality. 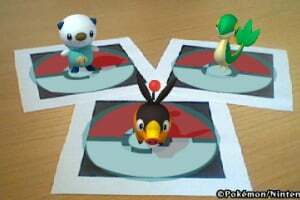 Place the Pokémon AR Markers anywhere and everywhere – watch Pokémon jump out of the marker in 3D using Augmented Reality technology. 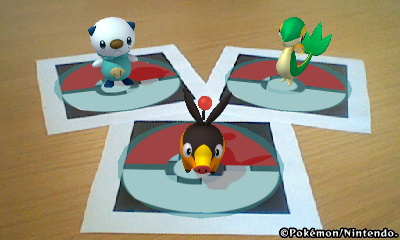 Set up scenes by placing more than one Pokémon AR Marker side by side and take a picture of your fully animated Pokémon together. When using AR Viewer, your Pokémon are fully animated and can be coaxed into performing special actions using Items – some items receive different reactions from the Pokémon. 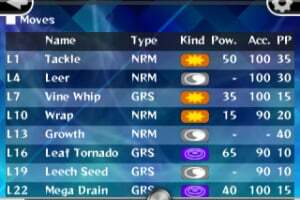 Why not try tossing various items their way and seeing how they react! 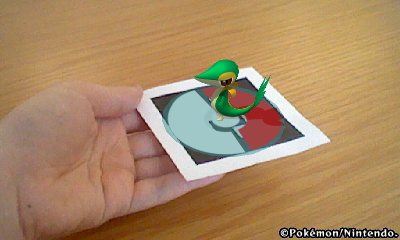 You can also use pictures you’ve already taken from your SD Card and add Pokémon to your pictures. 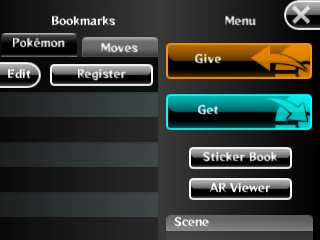 Enjoy unlocking lots of new features as you begin to increase the number of Pokémon AR Markers you collect! 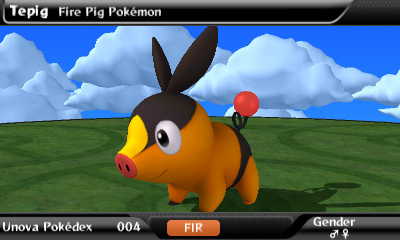 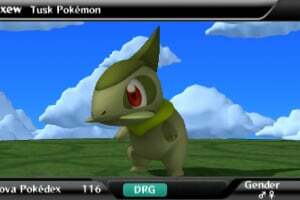 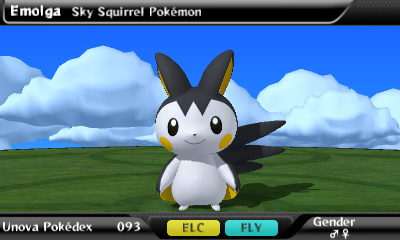 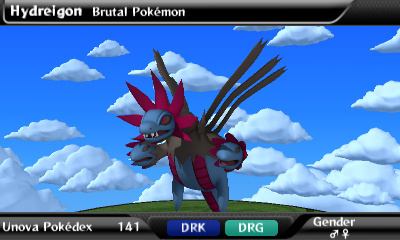 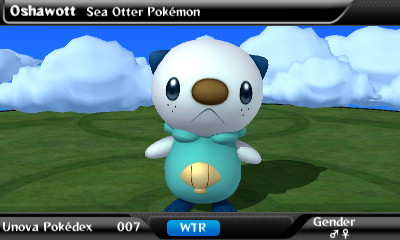 View 3D Pokemon through your 3DS. 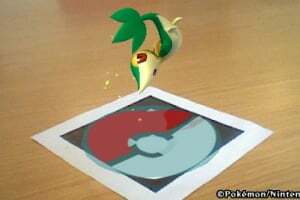 HOW AWESOME IS THIS!!! @3: You're mistaken. 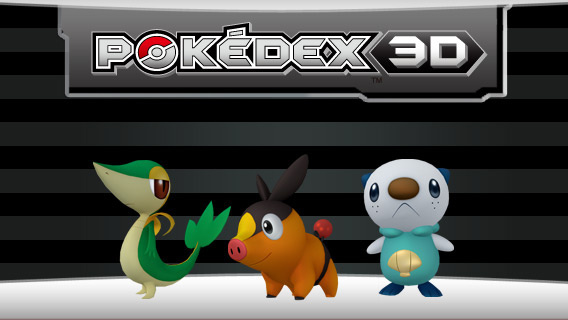 This pokedex only covers 5th gen pokemon. 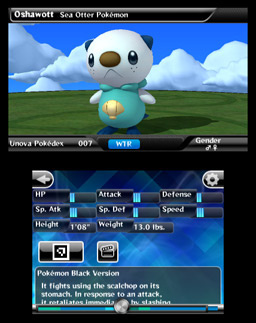 Altho as they create more models they may well update it with the other generations. 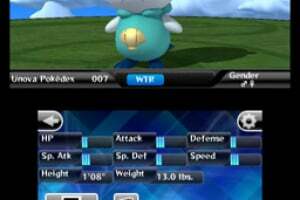 Only the latest generation really ruins it for me, as I like 1% of the pokemon in it if I'm being generous. 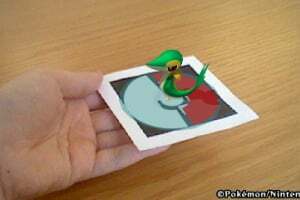 they should of put all the pokemon on the pokedex. 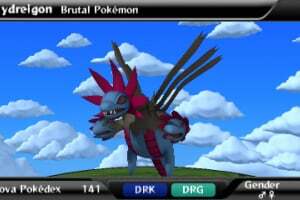 i have this on my 3Ds When it said i got a Pokemon i pressed yes and i Got A RESHIRAM!